The evictions will be televised as REAL nominations on Big Brother Naija! After spending the last week awaiting feedback on their fates in the House, the Big Brother Naija housemates were on Sunday able to collectively heave a sigh of relief upon discovering the evictions were a hoax. Hosted by the ever suave Ebuka Obi-Uchendu, Sunday’s live show was yet more entertainment for studio guests and viewers at home as Nigerian songbird Niniola thrilled with her hit tracks Maradona and Sicker. The housemates’ relief was however short-lived as they were yet again tasked with competing for the Head of House title. 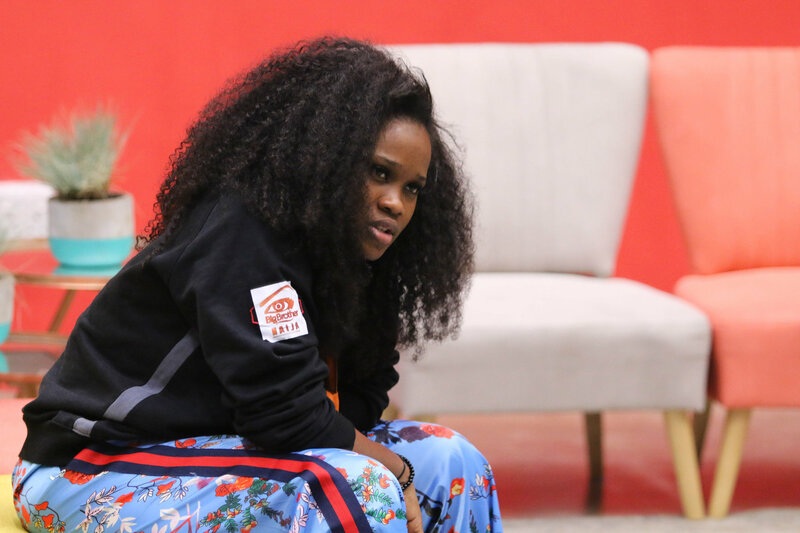 An interesting twist occurred as all the male housemates and Vandora were disqualified from the challenge following their failure to adhere to Big Brother’s instructions. Khloe subsequently emerged as Head of House after competing with previous contentants Ifu and Bam Bam. Things are however bound to get testy as the real nominations happen on Monday the 12th of February with the first set of evictions to follow on the next live show, with host Ebuka announcing that more than one pair of housemates will be evicted. Voting for nominated housemates begin at 6.30 Nigerian time, and viewers can vote via mobile site and website. To vote via mobile site & website, simply register on africamagic.tv/bbvote with your mobile number & password, then enter the OTP number and vote for free. Voting opens at 5:30 on Monday and closes at 8:00pm on Thursday. Make sure you tune in to DStv channel 198 and GOtv channel 29 to catch all the excitement, drama, and suspense on Big Brother Naija, proudly sponsored by PayPorte, your preferred online store. Follow us on twitter @BBNaija and on Instagram @Bigbronaija for live updates.